Home » Texas Rangers » Trying to avoid 100. Joey Gallo’s 36th home run of the season was all the offense the Rangers could generate. It could happen. It would take an amazing last two weeks, but the Rangers could win one more game this season. And if they were somehow to do that, it would guarantee they would not have a 100-loss season. Monday’s rare victory, over the Angels, was win number 62 of the season. But they lost the next two in uninspiring play to fall to 4-7 so far in the month of September. They have sixteen games left on the schedule. Two months into the season, it appeared seven teams were headed to 100-loss seasons. Baltimore is already at 104, and 58.5 games behind Boston. It will be a historically bad season. Kansas City has 96 losses. They are a certainty to lose 100, just two years after winning the World Series. 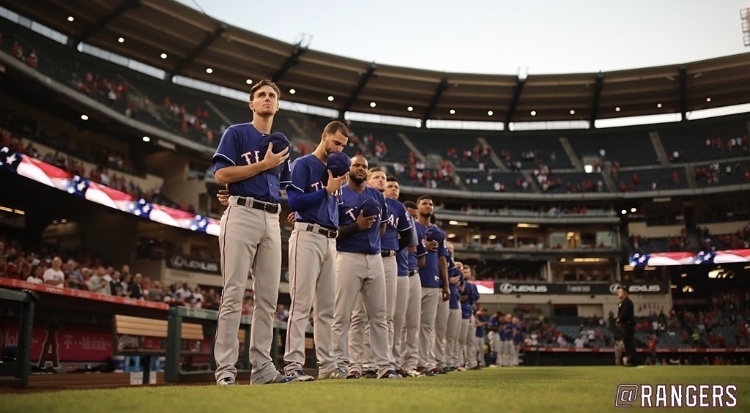 If the Rangers can muster just one more win in the final sixteen, they will avoid the franchise’s seventh 100-loss season, and third since moving to Arlington. It’s hard to believe there are fans suffering worse than we are this season. Yeah, but none of them were told lies about being competitive before the season by a delusion GM and his Yes Man. Had to check Kevin on the KC series win. Sure seems like an eon ago that they won but it was 2015. Maybe JD could go be GM there! Ah, you’re right. Then Cubs, then Astros. Wasn’t looking to ‘fact check’. Just seemed soooo long ago that they won that I was curious. Must seem like ancient history to KC fans also given their current situation. No, please do fact check. Remembering things off the top of my head is getting more and more unreliable. When you get to my age you’ll find you can’t remember how to fact check. “Meanwhile, back at the Ranch”, (or out west) Odor has come back down to planet earth. A couple of years ago, Roogie was having a great run,during which he hit 3 or 4 home runs in two or three games. I then posted that I hoped it wouldn’t go to his head, and cause him to start swinging for the fences and then go into a slump. A guy who doesn’t post here anymore immediately lit into me and ridiculed that though with all sorts of sarcastic remarks, and pretty much outright saying I was a total idiot for suggesting Roogie would be influenced negatively by his success, or that any such a thing could or would possibly happen to him. Then Odor promptly went into a very bad slump for at least a month, or maybe even closer to 2 months. But still, as is often the case in such disagreements, I got no acknowledgements from my detractor, much less any apology. But that being said, since my first post expressing concerns about Roogie’s prowess, I think I do think I see a pattern with Odor. He seems to get very hot, and then he goes very cold. Yes, many players do the same thing, I know. But I have a sneaking hunch that what Roogie gets to going well, he is prone to start pressing. And when he starts pressing, he starts slumping. Or maybe not. But the pattern of Roogie setting the world on fire, then followed soon by extremely cold spells, seems to indicate to me that something like that is going on with him. ha! ha! Yes, elk, I think Roogie gets to going well, and then he starts pressing to do even better, which results in the opposite effect. Hopefully though these bouts will become less frequent and shorter in duration. After all, he is still quite young. I disagree somewhat, Jake. Roogie is “the best story” when it comes to the turn around, no doubt. But Gallo is still somewhat quietly the Rangers best offensive story, hands down. Gallo’s current 86 RBI verses Roogies 63, and Gallo’s 36 home runs verses Roogie’s 18 homers, pretty much makes that a foregone conclusion. Gallo is very impressive, but if he cant get his avg up???? True, so far. But there are glimmers of hope, like a post All Star batting average of .257. And I heard last night Gallo has more home runs against left handed pitching (13) than anyone in baseball this season. If he can drive in 90 plus runs a seaosn, and hit around 40 home runs per season average not withstanding, he will always be playing somewhere. Joey still strikes out a lot, and I think that is what most people notice the most. But he also walks a lot. He has 70 walks so far, which is second for the Rangers only to Choo, who has 89 walks. Yepper……no expectations…..if he could hit .257, he would be a all star,,,,,personally I would accept .240 maybe….. 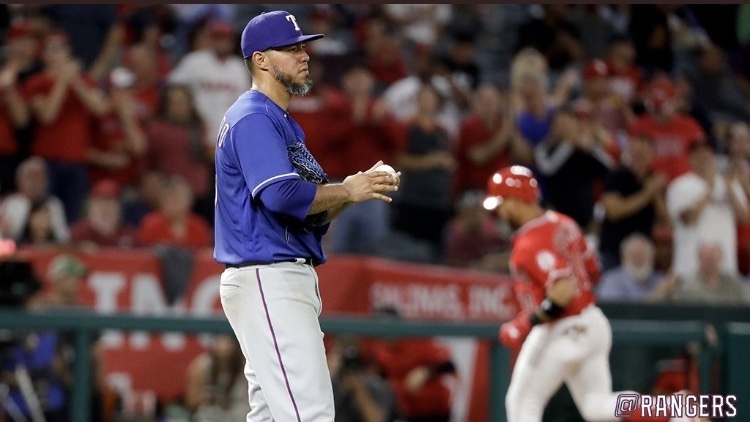 The Dallas Morning News ran an article a couple of days ago talking about how Odor seems to be hitting a wall, both offensively and defensively. It could be just the natural ups and downs of a season. It could be like you inferred, once a cocky SOB always a cocky SOB. Or, maybe it’s that Odor made adjustments that were really remarkable and now pitchers are counter adjusting to that. Lastly, it could just be he is tiring at the end of a season. 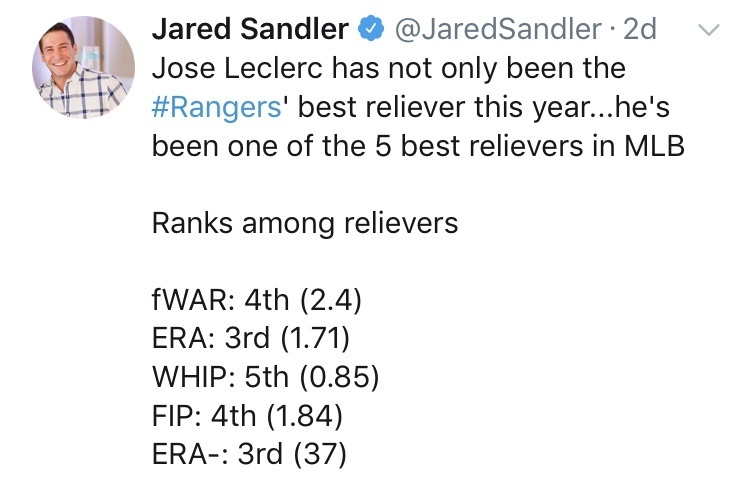 But, for his sake, at least he had that three month stretch where he retained his job and his place on a major league roster. It will be interesting to see what he does with a clean slate next season. Elvis had the injury, and so did Maz. Gallo had a bad stretch as well. But yes, all players go through slumps. Roogies successes and his slumps seem slumps to be a bit more dynamic on each end though. A hot 3 months is a LONG streak for just about any MLB player. For half a dozen yrs I felt similar about Andrus. Immature, lazy, poor attention span etc. Think Adrian helped him overcome that. Think Choo is trying to help Odor become a more consistent MLB player. And players go thru good and bad streaks. Time will tell but basically in agreement with your point of view. My daughter (who now lives in Chicago) giving me a hard time about the Rangers and Cowboys. Told her I don’t like teams that win. Was never a Cryboys fan. When we lived in D we always attended the Skins and Cryboys game and oldest son and I wore Skins caps. Toughened him up being surrounded by Skins hating fans every yr.
Yeah that last Cryboy’s Super Bowl win in 1995 was a good ‘un. Last yr you told me you were 28 so now you may be 29 and may even remember that 23 yr old victory. I’m tryin’ to remember how many SB’s my Packers have won since then. A few more than the Cryboy’s I guess. The Pack’s just ‘too successful’ for me. Just knew you were gonna say that! Green Bay won 9 NFL championships before the Cryboys were even a glint in Jerry’s eye + the 4 Super Bowls. I know you can add and that’s 13 Pro Football championhips …. i.e. 8 more than the Cryboys. “Doesn’t matter when you win them … only matters that you did … : )” as the Jakester always says. Touche you get the last word tonight! I had the Rangers winning 68 games this season. Perhaps they will get there…… perhaps not…..
At least they have a middle of the road, farm system at this point. Selling again next year before and at the deadline would help tremendously toward fielding competitive teams early in the next decade. The farm has been replenished somewhat, unfortunately mostly all lower level…..usually a pessimistic person, I am actually feeling better a “tad”…..Offense and BP are serviceable…..just about starting pitching. Minor is a lock and after that is what ifs….can Volquez regain some traction, Fister on a option regain health……two very good starter additions could get us to .500 and BB luck/dreams maybe better…..but the downside is IMO every team in the AL West projects to be better……. Yes, the farm still needs a lot of work. Through the next 11 months we will see if they are committed to build from within. This will of course depend on refraining from making moves to “win now”. Signing players in the off season to flip next year is again the route to try. They only have to hit on a couple signings to make a difference in what they can get in trades for the farm. A couple would be better than they did last winter. Minor would look good in a trade this winter or by the break next year. Sooner the better, imo. If we see them sign 2 or 3 off the scrap heap early, then I would expect a repeat of this season. Addendum: I don’t think looking at the rest of the West comes into play for a couple or 3 years. That is of course, if they do this rebuild the right way. In a major rebuild, it might be best to trade Minor while he is showing some upside before another surgery is needed. Being under control for 2 seasons is valuable as he may not fit the bill for the long run as he will be 31 soon. We are in the same position this year with position players that we would “want” to trade. There are players to trade but we don’t “want” to. I agree with Choo. Eat it, get a propect and move on. Any suckers out there? I would hope JD can sign a 2nd tier arm that is tradable to go along with the scrap heapers. That would give him Minor and another to sell and maybe a scrap heaper works out that can be flipped. Veteran pen signings will be important. One or two of those. I reckon JD would have to act quickly. Get a deal or two done in November. It all comes with “cash risk”, but hey, it’s only millions….. I get your point about trying to have 5 starters ready for 2019. Do you think the Rangers are going to compete for a playoff spot in 2020 with the AL being stacked as it is now? I think they will perhaps have a better product than they do now but not ready for prime time. 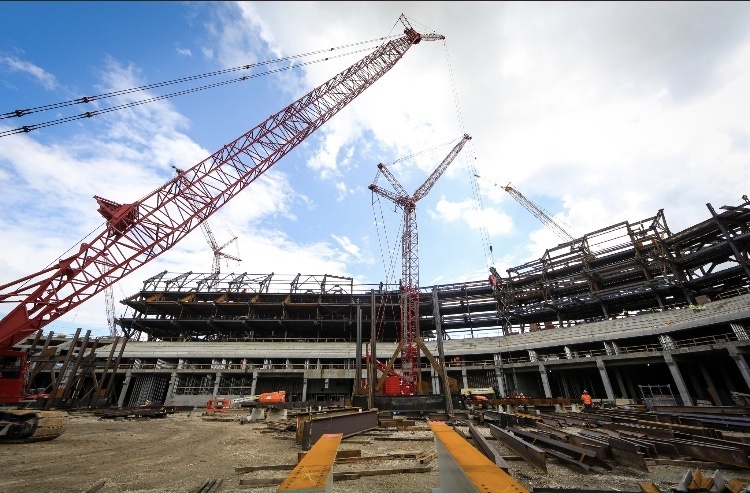 If they do the rebuild the right way, they are looking at 2021 depending on how the young arms progress. Minor does not fit that picture. I would love to see them sport a great team in 2020 but I don’t think that can happen. Next year is the time to continue building the farm. I think Gallo would be valuable. Must agree. Minor is more valuable to the team as trade bait. The team isn’t going anywhere next year with or without him. This offseason may be a good time to trade him. I would also get what I could for Gallo. I have done an abysmal job of posting pics lately, I realize, but sometimes that just can’t be helped. It’s a good thing there aren’t many pictures to post. Now that I am happily on my way to the happiest place on earth, I have had some time to catch up on Facebook and Twitter. Here are the pics I have found for today. I have no idea what day they are from. https://uploads.disquscdn.com/images/45aaedea6aadaa3e2f0ccc361c8be99616cfb5f31cd0fc912fe69d59a70d5946.jpg Refresh. Have a great night! ← Rangers two-hit the Angels!